In the same day, two local NC firms, Tranzyme and SciQuest, made a big splash on Wall Street. Tranzyme, a Durham based drug-development company, raised roughly $50 million on Wall Street last Friday in an IPO. Tranzyme Pharma is a clinical-stage biopharmaceutical company developing novel small molecule drugs for both acute (hospital-based) and chronic disorders. Tranzyme is expected to begin trading today, April 4th, on the Nasdaq with the symbol TZYM. Vipin Garg (top), CEO of Tranzyme, is a long-time supporter of and participant in CED and its programs; in addition to co-chairing CED’s 2008 Biotech Conference steering committee, Garg has spoken at numerous events, and currently sits on the CED Executive Committee. The Tranzyme IPO was the first exit from a Triangle company since SciQuest in September, which is big news for the local community. On the same day that Tranzyme went public, Steve Wiehe (bottom), CEO of SciQuest, and his team had the honor of ringing the opening bell for the Nasdaq stock market in Times Square. The event celebrated the selling of an additional 4.7 million shares in a second offering by the company and its investors. 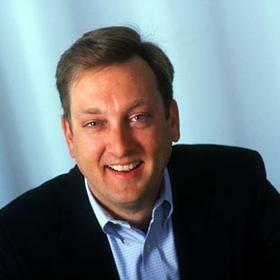 Steve Wiehe was a two-time Chairman of CED’s Board of Directors from 2008 to 2010 and has an impressive track record of participation at CED programs. Steve has hosted, spoken, attended, presented, and won awards at CED events for more than a decade.